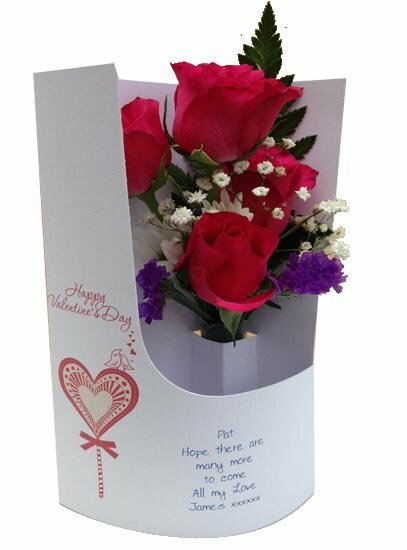 What to buy - Flowers or a card ? 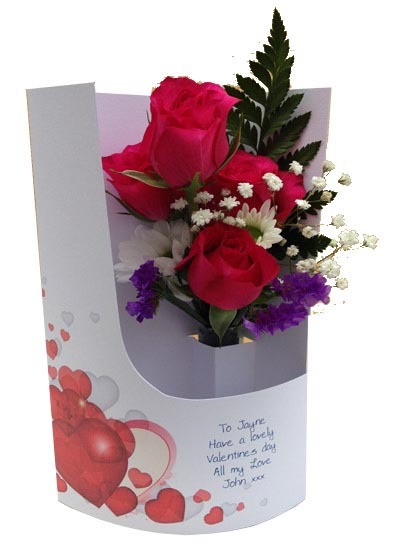 With our elegant Valentines floral cards you can have both. 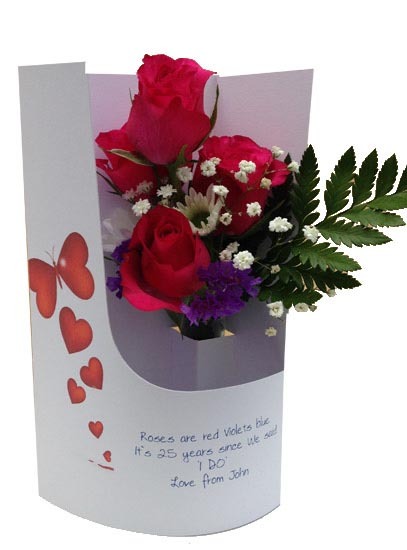 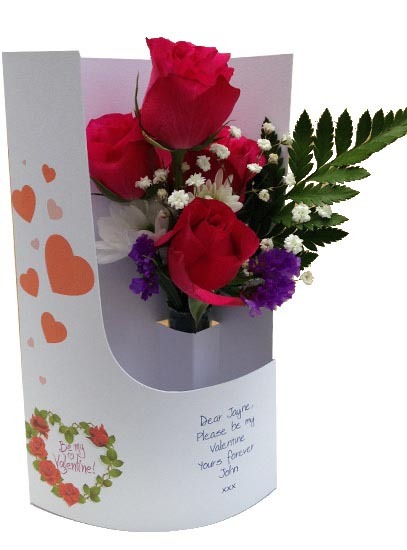 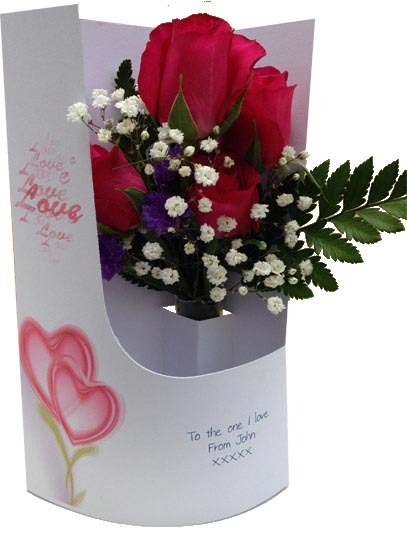 Beautiful red roses fixed inside a card with your loving personal message printed on the front of it . 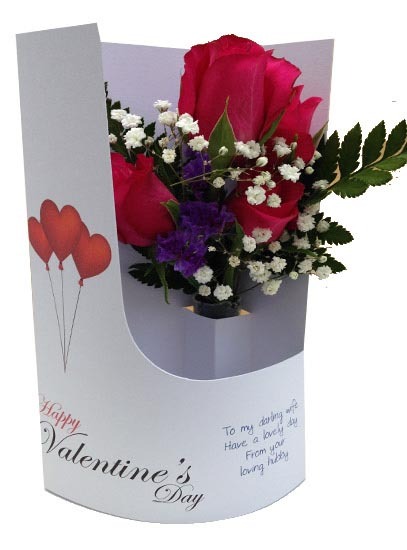 She ( or he !) 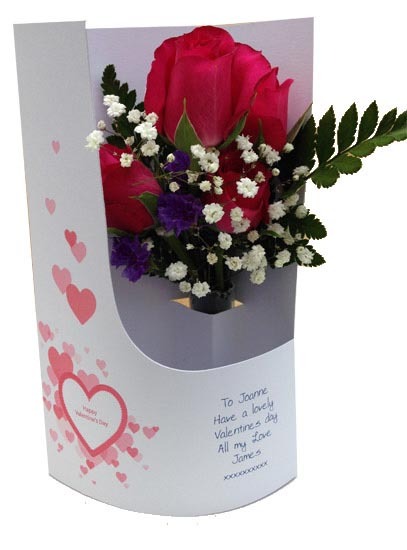 will love it. 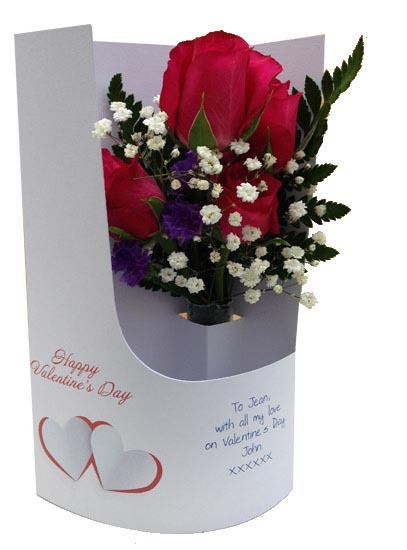 We Recommend selecting 12th February as your despatch date.